The party consisted of Juliah Lush (Hon Vice-Chairman), John Mason (Hon Treasurer), Thanos Petouris (Committee Member), Sarah Searight-Lush, Julia Couchman, and Felix Wu. 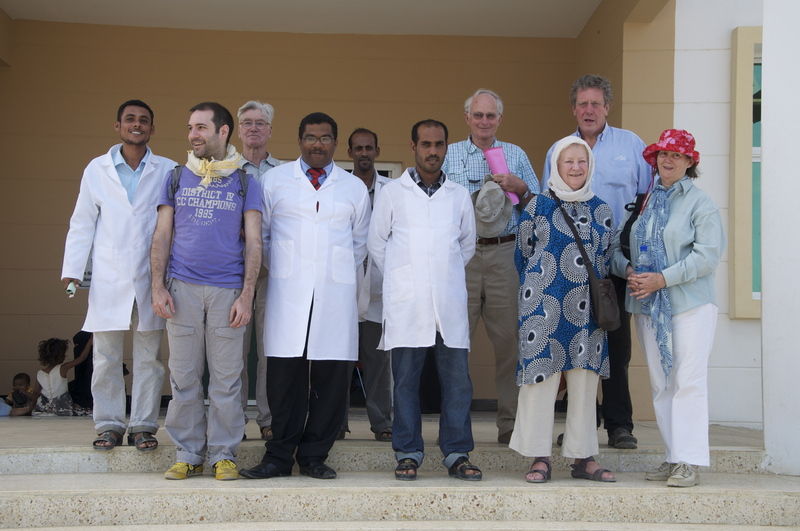 During the tour, the group visited the Sheikh Khalifa bin Zayed al-Nahyan Hospital in Hadiboh, where they were briefed by the former scholar of the Society Dr. Salem Yousr Muftah. 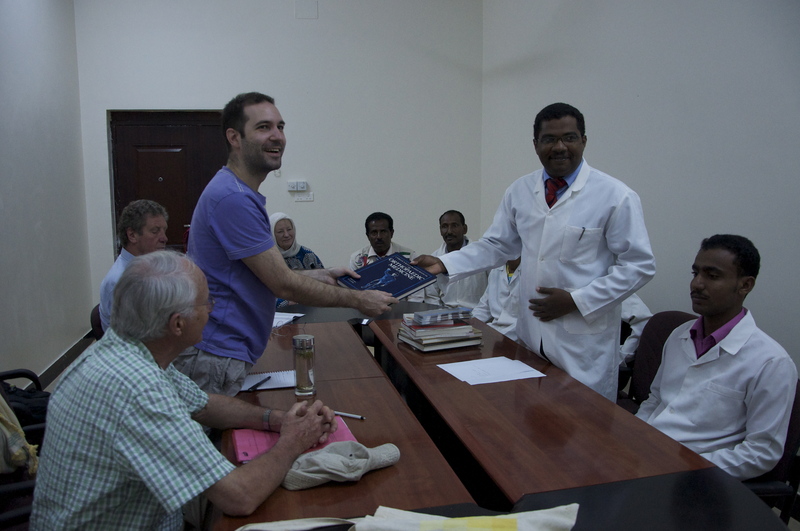 The Society presented medical books, and a monetary donation for the purchase of medicines to the Hospital. 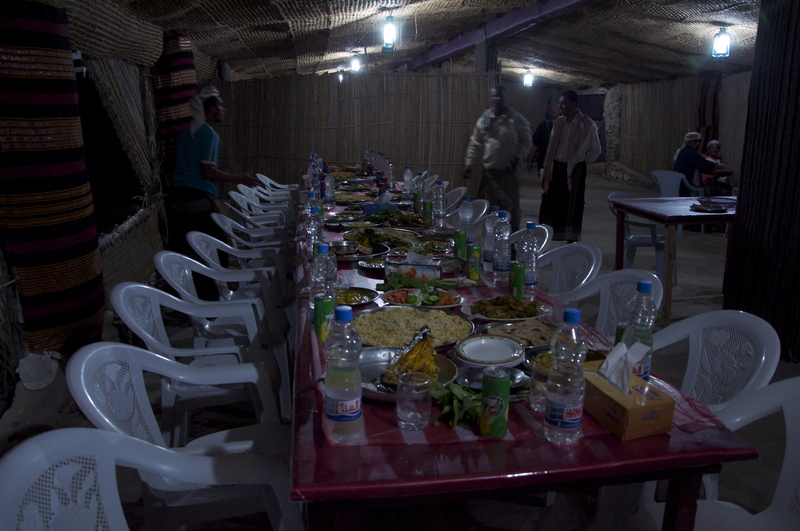 Later in the day, Dr. Salem entertained the party along with other foreign medical workers on the island to a traditional Soqotri meal near Dhi Lisha beach. 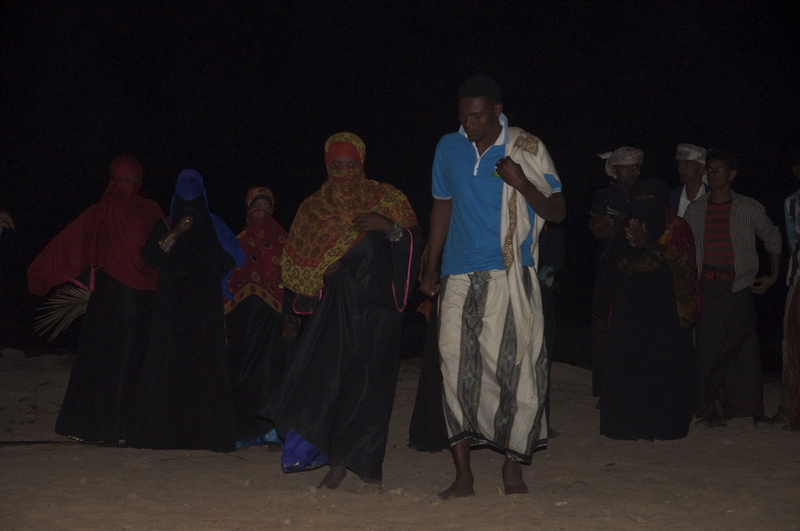 The evening concluded after a performance of Soqotri music and dance by a local troupe. 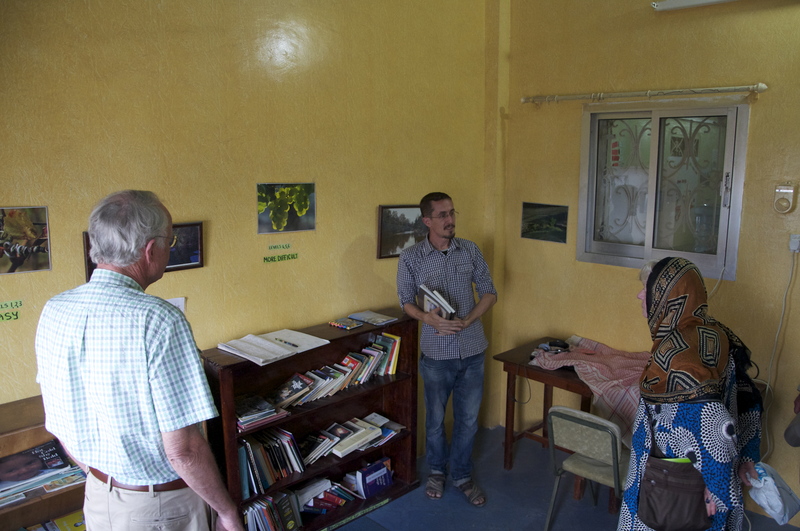 At the Soqotra Training Centre (STC) the director, Matthew Byrne, explained the work of the school and briefly analysed its curriculum in the instruction of English, computer science, and the Soqotri language. 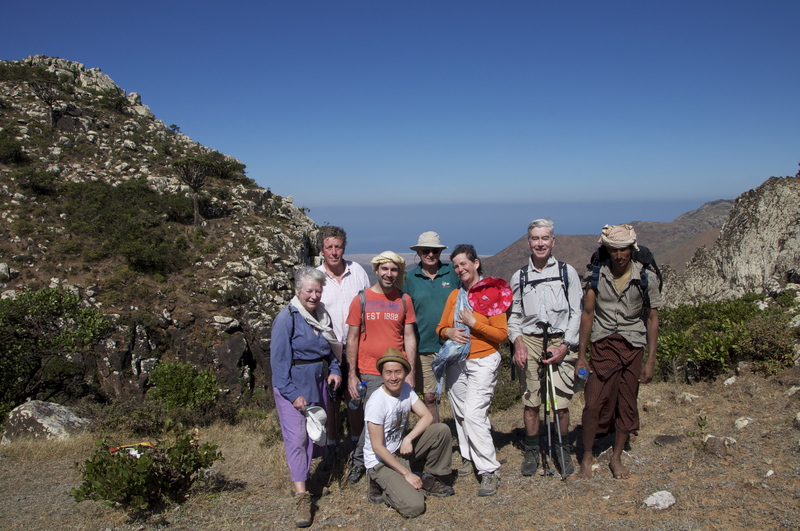 The STC has been supported by the Society in a number of occasions, and was the subject of our Annual Appeal for 2006. 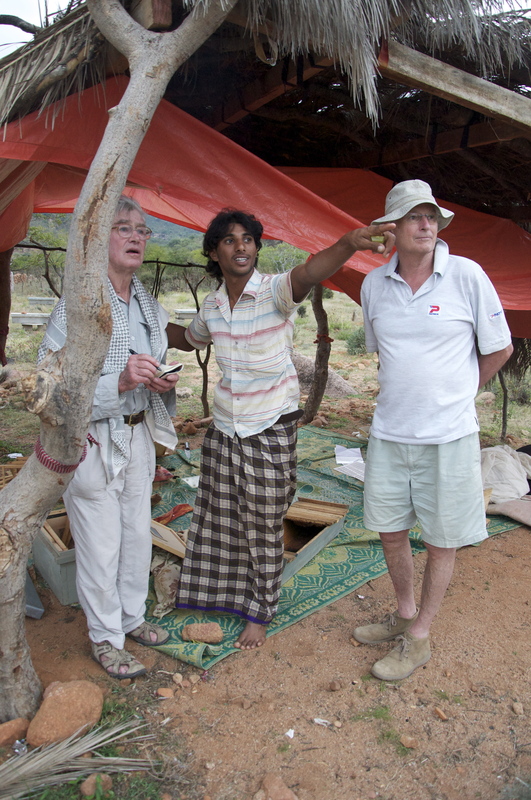 Matthew was also able to arrange for a visit to one of the more successful apiaries on the island, run by Salim bin Mohammad, where Julian Lush, a keen London beekeper, was able to study the local methods of honey production. 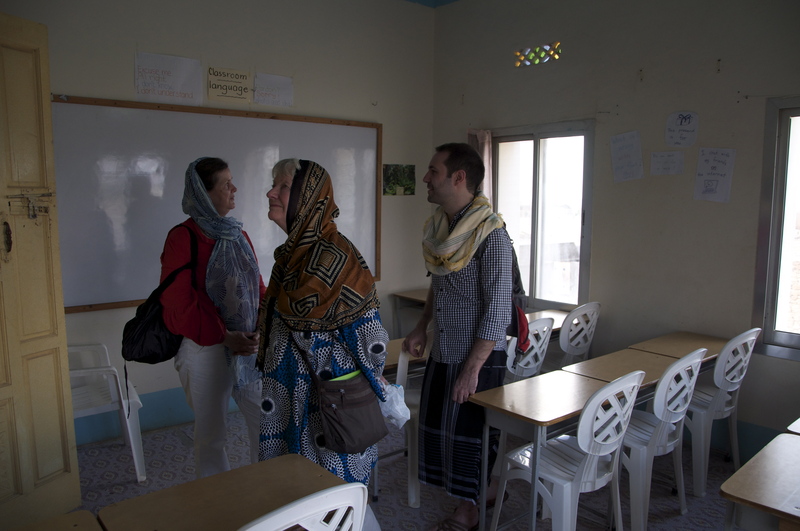 The BYS party was looked after by Socotra Eco Tours, owned and run by the Soqotris Ahmad Abdallah and Sami Ali. 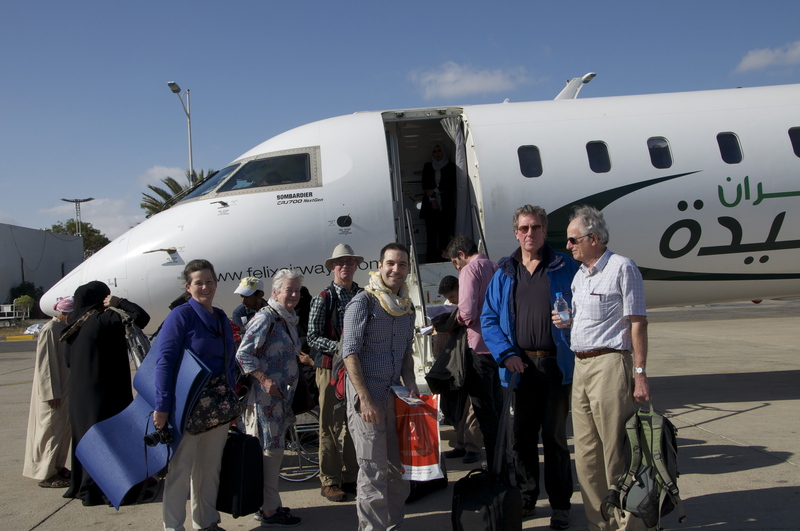 The Society would also like to thank Felix Airways for assisting our group at the Sharjah airport and for applying a group discount to the airfare. 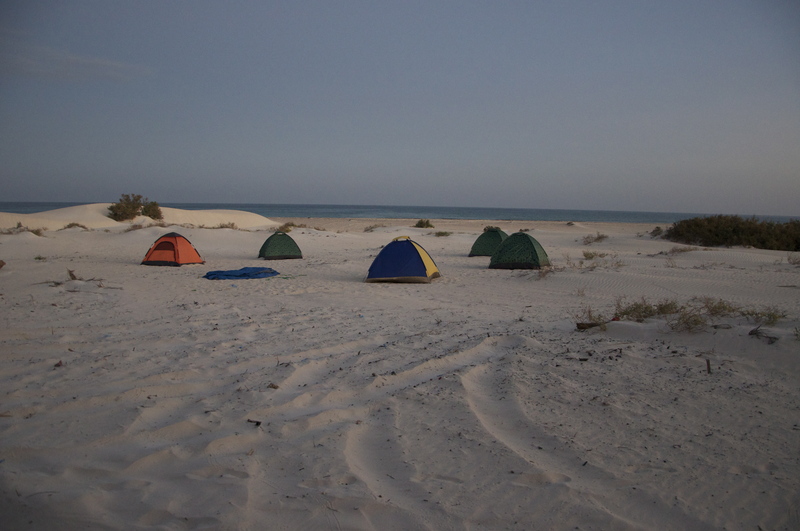 For a report on the trip, see Lush, Julian (2013) "Socotra: Notes from the Society 2013 Visit". 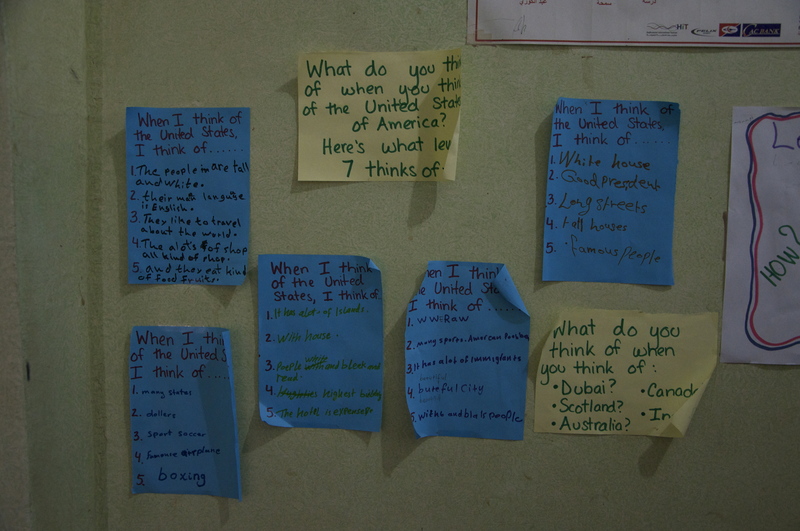 BYS Journal vol. 21, pp. 23-28.